The king of the battlefield. We use to see and follow 60mm mortar rounds go through the whole parabolic arc. Most arty rounds (105,155,175) don't travel that fast. Direct fire 90mm tank or 106mm recoilless rife are another story. I remember the ground vibrations from the 155's when I was in Salerno Afghanistan - it was a double pulse. That is how I knew it was outgoing instead of incoming. 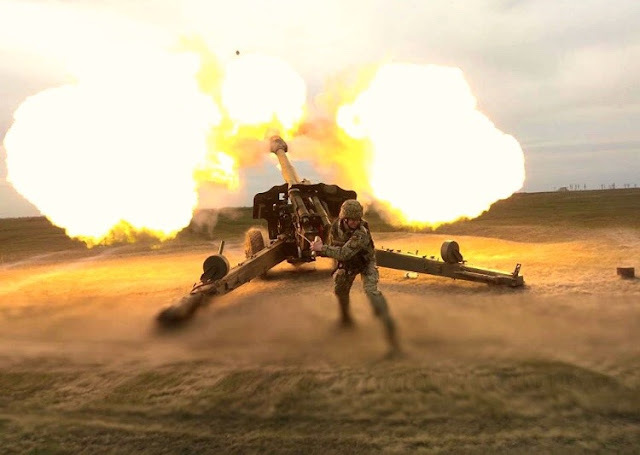 Indirect fire works well in battle. full powder charge. ripping good photograph. to bad we don't have the audio to go with it. but i am always asking for more than i should.